AXA PPP’s CEO Christopher Clarence-Ware loves Rhythmworks! He has brought us in to work with his team at his former company Lorica Consulting (featured in this video), and recently again at AXA PPP. 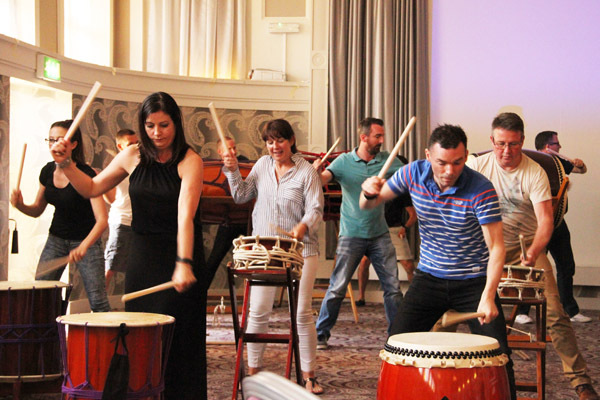 This time our Taiko drumming session was tailored to bolster their product training summit for 80 staff. The over-arching message of our workshop was that when we do things together, we’re stronger. So, thank you Christopher, and here’s to many more!